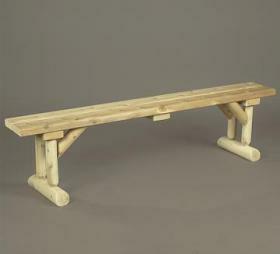 Our 68” bench provides an attractive space-saving seating solution for large family gatherings. When not in use, it tucks neatly under the table. The bench seats three comfortably. The solid cedar construction ensures years of carefree use.